Biomass briquetting is to briquette and carbonize the scattered, light, difficult to store cellulose biomass, turn it to a kind of fuel. Biomass briquetting can increase capacity and calorific value of biomass, improve combustion performance, make the bio waste become a kind of commodity energy source. This conversion technology is increasingly accepted by people around the world now. Briquette was first developed by the British mechanical engineering research institute. Their raw material is peat. Then the technology was used to process lignite and clean coal, and was gradually developed to use for the waste in the paper mills. In the 1930s, the United States began to design the screw type briquette machine. At the same time, modern piston briquetting machines were invented and promoted in Sweden and Germany, the piston briquette with sawdust as raw materials were competitive in the market all along the time. The screw type biomass briquetting machine was developed in Japan in the 1950s and gradually extended to East Asia, Southeast Asia, and Europe and America, etc. After the 1950s, biomass briquetting equipment powered by oil pressure and water pressure, and small particle pelletizing equipment powered by machinery were successively invented. In the 1980s, biomass briquetting technology was developed on a large scale. Affected by the background of the times, the energy crisis has caused oil prices to rise. Wood processing plants in Western European countries and the United States have proposed the use of wood for energy self-sufficiency. Therefore, biomass compressed fuels have developed rapidly and have become an industry in countries such as Western Europe and Japan. Some countries in India and Southeast Asia also had paid considerable attention to the research and application of this technology. By 1984, 172 factories in Japan had produced biomass briquettes with a total output of 260,000 tons/year. The biomass material structure is relatively loose and the density is small, which is determined by the physiological characteristics of the plant. The loose biomass material, when subjected to a certain external pressure, will decrease the volume and increase the density. The raw material particles undergo successive stages of rearranging position, mechanical deformation and plastic rheology. In general, in the presence of moisture, the cellulose can be formed into a certain shape with a small force. 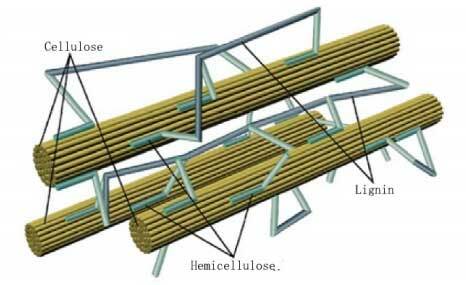 When the water content is about 10%, although it is necessary to apply a large pressure to form it, since the non-elastic or viscoelastic fiber molecules are entangled and twisted together, after removing the external pressure, it is generally impossible to restore the original shape and it becomes a firm structure briquette. For raw materials with a high content of viscoelastic components, such as lignin, etc. Take the lignin as an example, when the briquetting temperature reaches its softening point, plastic deformation occurs, thereby bonding the raw fibers closely together and maintaining the established shape. After cooling, the strength of the shaped fuel (briquette) is increased, in this way we get a biomass briquette that is similar to wood burning performance. When the lignin content of the raw material is low, it is necessary to add an appropriate proportion of binder, such as clay, starch, waste paper, etc., in order to make the briquette with a dense structure and fixed shape. After adding the binder, there will be an adsorption layer on the surface of the biological particles, which will cause a gravitational force between the particles by the van der Waals force. When the external force is applied, the particles can also generate an electrostatic attraction between the particles, resulting in particles a chain structure. Biomass collection is one of the important processes in biomass briquetting. The moisture of the raw biomass. That is, the degree of dehydration of the raw material in the natural state. If it is not harvested by machinery, the moisture should be lower. In addition, special attention should be paid to the entrainment of soil as little as possible during the collection process. The soil is easy to form slag during combustion. Mechanized collection can solve this problem. Crushing is the basic treatment of the material before briquetting. The quality of the crushed material directly affects the performance and product quality of the briquetting machine. For example, in the particle briquetting process, if the particles of the raw material are too large, the material must be crushed in the briquetting machine before entering the forming hole, so that the briquetting machine consumes a large amount of power. In the briquetting process, the briquetting machine can also perform a certain crushing operation, but it is not as efficient as a crusher. So it is much important to crush the raw material in a crusher. It is not necessary to crush all the materials when briquetting. 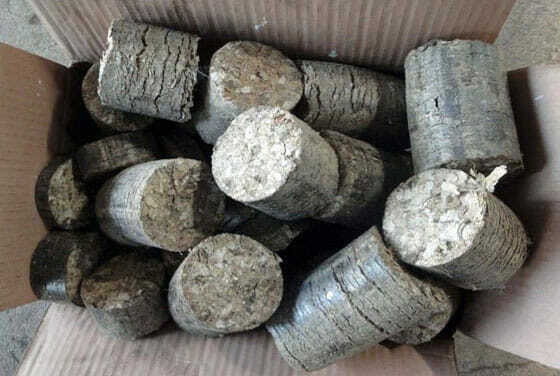 For example, when hot briquetting is carried out using sawdust or rice husk as raw materials, foreign matter of a large size is often removed from the raw materials, and briquetting can be performed without crushing. However, for large-scale agricultural and forestry wastes such as wood chips, bark, and plant straws, crushing operations are required. Crushing is often performed twice or more, and a drying process can be inserted in the middle of the crushing process to increase the crushing effect. Moisture content in briquetting (fuel or feed) is important. The empirical data is used around the world, not theoretical calculations. When the moisture content exceeds the upper limit of experience, during the processing, the temperature rises, the volume suddenly expands, and it is easy to cause an explosion, lead to an accident. If the moisture content is too low, the van der Waals force is lowered and it is difficult to make the briquette. Therefore, after the biomass is crushed, a drying process is required, the optimum humidity usually is 10% to 15, and the piston type briquetting machine can be appropriately higher (16% to 20%) because the processing process is intermittent. By the drying operation, the water content of the raw material is reduced to the extent required for briquetting. The dryers used in conjunction with the biomass briquetting machine mainly are rotary drum dryer and vertical type air flow dryer. “Briquetting mold” is a key component of biomass molding. Its inner wall is tapered from front to back. After the material enters the mold, it is subjected to three kinds of forces, namely the main driving force of the machine, the friction force, and the centripetal reaction pressure of the mold wall. The main driving force of the machine is affected by the friction force and the density and diameter of the briquette. The influence of the friction is the angle (half the opening angle of the mold) and the mold temperature. The larger the angle, the greater the friction, the higher the density of the material, and the greater the total power. Therefore, the design of the angle is a key factor. It has different requirements depending on the diameter, density and material type. In order to facilitate the adjustment of the “mold”, the inner mold and the outer mold are designed, the outer mold is constant, and the inner mold can be exchanged. When the biomass is briquetting, it needs to be heated. By heating, the lignin in the raw material can be softened to function as a binder; the heating action can also make the raw material itself soft and easy to briquette. The heating temperature will affect the working efficiency differently of the briquetting machines. For example, a screw briquetting machine, the structural size is relatively determined, and the heating temperature should be based on the structure of the machine so that the temperature is kept within a reasonable range. If the temperature is too low, the raw material is difficult to briquette, and the energy consumption will be increased. When the temperature is increased, the energy consumption of the motor is reduced, but the briquetting pressure is also reduced, so that the briquette density becomes small, which will cause crackle or even fracture. When the heating system works on this type of briquetter, the temperature is usually controlled between 150°C to 300°C, and the corresponding adjustments are made depending on the raw materials. 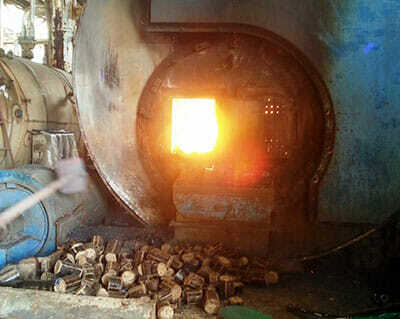 In the briquetting process, the raw material also can be used without the external heat source, on the pistion briquetting process, due to the mutual friction between the raw material and the machine parts, the raw material is also heated, and reaches a temperature of about 100 ° C, the lignin contained in the raw material can also be softened then and acts as a binder. Increase the bonding force and reduce the power input, which requires the biomass particles to be small, small particle facilitates uniform contact of the binder. It is generally added during the conveying process before pre-pressing to facilitate mixing. The shape retention can only be carried out after the biomass has been briquetted. The inner diameter of the sleeve for shape retention must be slightly larger than the diameter of the smallest part of the briquetting molding, in order to eliminate the partial stress of the finished biomass briquette. Shapes can only be fixed after the temperature has been lowered. The port of the sleeve is designed to adjust the shape retention capacity. If the briquetting diameter is much smaller than the shape of the sleeve mold, the biomass will expand rapidly and cause cracks. On the contrary, if it is too small, the stress will not be eliminated, after the briquette output from the sleeve, it will suddenly crack or smash because of the sudden drop in temperature. Zhengdong New District, Zhengzhou, Henan, China. © 2018 Maxton Industrial Co., Ltd. All Rights Reserved.